An operator expanding development in the Montney formation has been refining its completion techniques with positive results. Using StackFRAC® HD-X, production has steadily improved over the last several years and recent wells have exceeded expectations. A junior operator with over 900 potential drilling locations in the Montney has been working to develop acreage as efficiently and economically as possible. 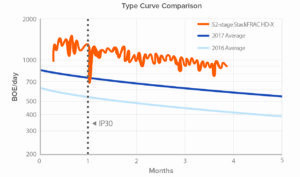 One of the goals was to increase stage count to improve reservoir coverage during stimulation, while still gaining the benefits of continuously pumped operations. StackFRAC HD-X offers the proven quality and reliability of StackFRAC HD while surpassing 1/16-in. seat increments to enable ultra high density, high stage count completions. A fully integrated quality control process is used to verify manufacturing precision and ensure operational success. This includes dimensional confirmation up to 1/10,000 of an inch, sleeves designed specifically to prevent erosion, and an anti-erosion coating to further minimize risk. A recent 52-stage well with a measured depth of 3,550m, including 1,450m of lateral length, was stimulated in a continuous operation that averaged 1.5 hours/stage of pumping time. 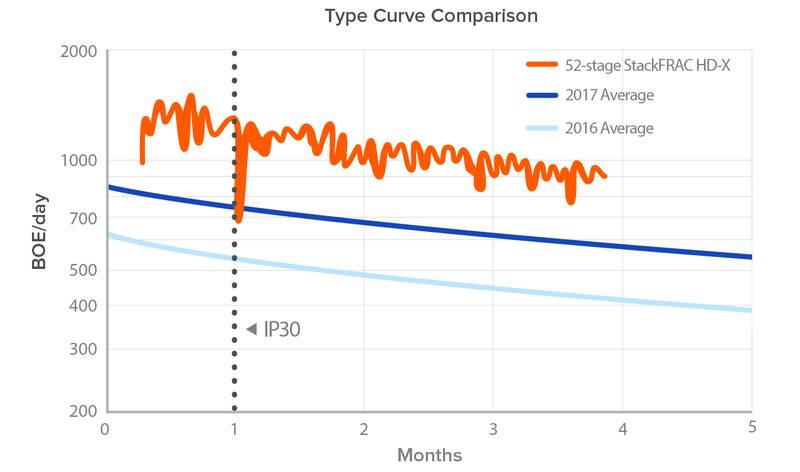 The well’s IP30 was over 130% above the operator’s average 2016 IP30 type curve. The operator continues to optimize completions by implementing pad drilling, longer laterals, and with plans to further increase frac intensity. StackFRAC HD-X has been run by dozens of operators in a variety of formations in Canada, and has often been shown to provide significantly better production and cost-effective completions. To see other case studies or for more information, see packersplus.com.